I can't get away from picking a word for the year because I have seen the Lord change my own heart when doing so. My word, so loud and clear to me, for 2015 is just the opposite. Quiet. Carried out with moderation; the absence of noise and bustle. Silence, calm, still. 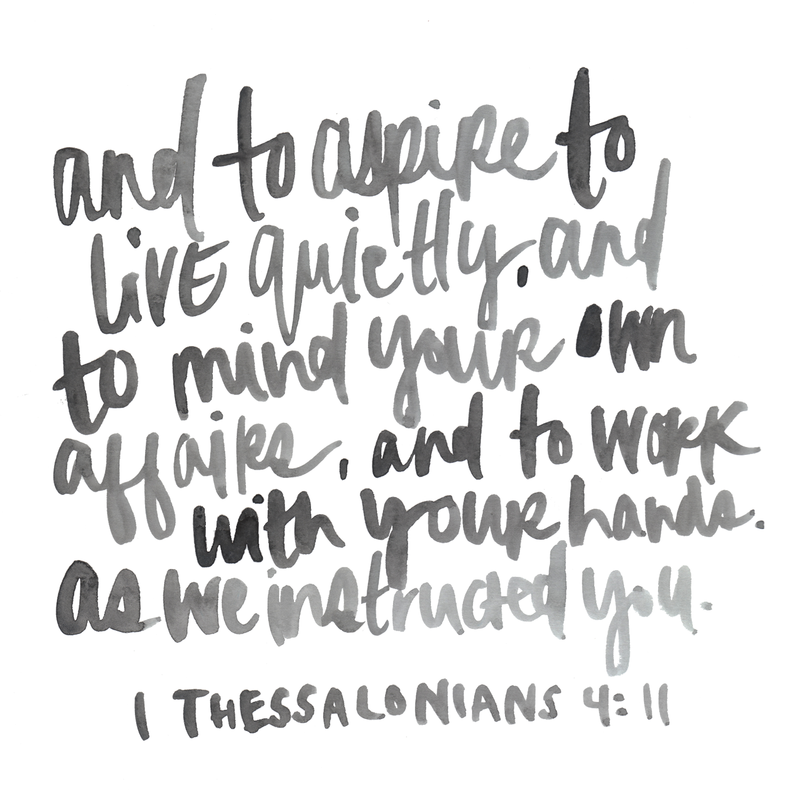 This verse in 1 Thessalonians already holds a dear place in my heart. What I want is to listen more, to hear my Savior more. More of Him and less of me. To dig deep, and work with my hands, on the things that matter most to me, and pursue dreams I have for my little business, my family, and my ministry, with Him at the center.